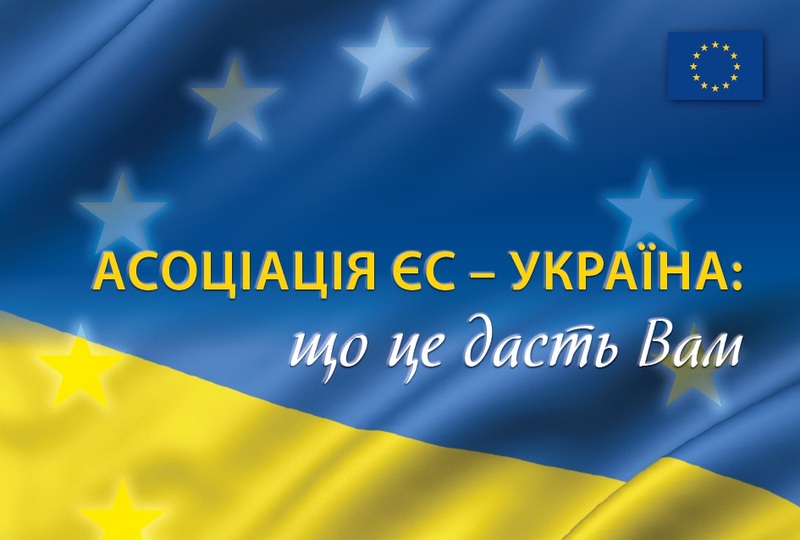 The EU Delegation to Ukraine presents a new 20-page brochure entitled “EU-Ukraine Association: what it will bring to you.” The brochure provides background information on the practical prospects and advantages of the EU-Ukraine Association Agreement. The booklet stresses that the Association Agreement, if signed and ratified, would be the largest international legal document which Ukraine has ever concluded. At the government level, the Agreement provides for an ongoing dialogue between the EU and Ukraine on democracy, rule of law and good governance. The Agreement would also enable Ukrainian citizens to more effectively oversee the functions of government institutions, law enforcement agencies, courts and civil servants in order to hold them accountable. The deal would assist the fight against corruption and ensure mechanisms are in place to better protect the property rights of Ukrainian citizens. The establishment of a deep and comprehensive free trade area (DCFTA) is a key part of the Association Agreement. It is described as “deep and comprehensive” because it would not only reduce or remove tariffs on a majority of goods, but also gradually dismantle other (“non-tariff”) barriers such as differences in technical standards, and reduce bureaucratic procedures and discrimination. The DCFTA is the most ambitious free trade agreement that the EU has ever negotiated and goes far beyond the free trade agreements established with other countries. The free trade area would help protect the rights of consumers. Specifically, it would address the issues of non-transparent price-setting, unhealthy and unsafe food, and inadequate quality control of consumer goods. It would also contribute to a gradual lowering of prices of certain goods. Ukrainian business representatives would also benefit from a free trade area with the EU, enjoying access to world’s largest market (nearly 500 million people), better protection of intellectual property rights, and an improved business climate within the country. Overall, the free trade area is expected to boost the development of entrepreneurship in Ukraine. Poor environmental conditions and a high incidence of road deaths are among the main factors contributing to the low life expectancy of Ukrainian citizens. To improve the environment, the Association Agreement sets out actions to tackle air pollution, reduce the negative impact of fuel and diesel oil, and promote the production of safe paint and enamels, especially in the automotive industry. To help reduce traffic injuries and fatalities in the country, the deal would focus on clear speed regulations, strengthen laws against driving under the influence of alcohol, and ensure the obligatory use of seat belts and child safety seats. Ukrainian youth would benefit from the Agreement’s aim to modernise higher education and enable more exchange with EU universities. Moreover, the Association Agreement sets out a broad agenda for sectoral co-operation between Ukraine and the EU, especially in the fields of visas, energy and air transport. As with all other Association Agreements signed by the EU, there is no guarantee of EU membership written into the contract. However, its successful implementation would bring Ukraine much closer to the EU, benefit its citizens, and help the government prepare the country for an EU membership perspective.